GRMacGeek: Is Duplicate Content Bad for SEO? 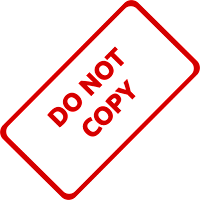 I have had a few discussions with clients about "duplicate content" and does it affect a websites search rankings? look at the footer info on almost every website, it will be the same on every page. Google knows this, you will not get penalized for having duplicate content like this. However, some people have pointed out that this means there are no real issues with duplicate content, in fact pointing to an article by Barry Swartz of "Search Engine Land" (a great website btw) that states "Duplicate Content Won’t Hurt You, Unless It Is Spammy"
Be careful how you read this - duplicate content is still an important consideration. "It is more about Google knowing which page they should rank and which page they should not." And if you read a more recent article by Barry Swartz (the author above) he states "But I guess in this case, to help with rankings, you may, as a publisher, want to use the rel=canonical tag to help Google know which is your primary page." a good breakdown which was just updated 2 weeks ago can be found here, including the video John Mueller made. "The reality in 2016 is that if Google classifies your duplicate content as THIN content, or BOILER-PLATE content, then you DO have a severe problem that violates Google’s website performance recommendations and this ‘violation’ will need to be ‘cleaned’ up."